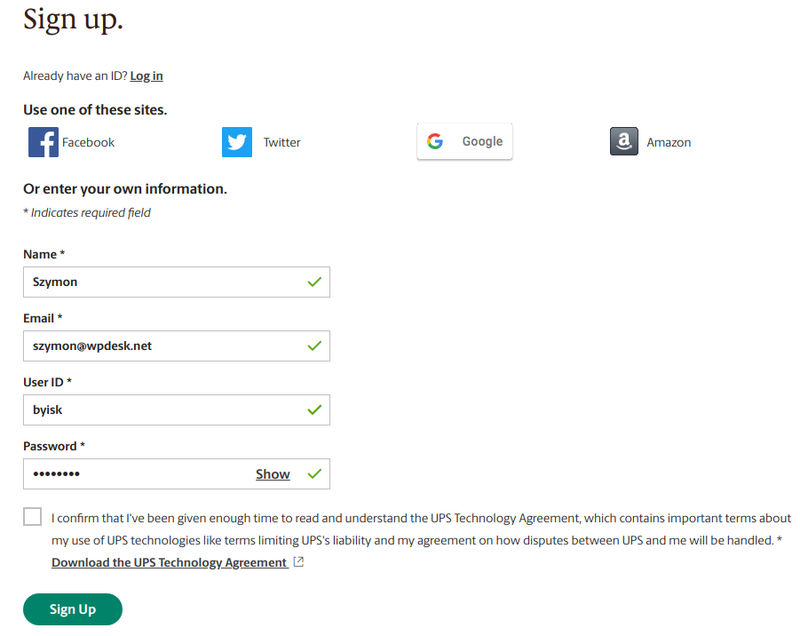 Registering a UPS account takes only a few minutes. We'll guide you step by step. The site will redirect you to your location (e.g. 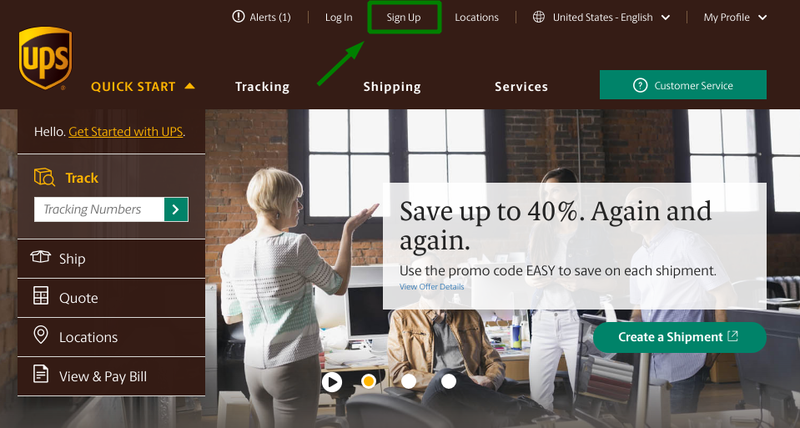 https://www.ups.com/us/en/Home.page for United States - English). or you can enter your own information. That's what I did, as you can see. The User ID is very important. You'll use it to connect your WooCommerce store to UPS services. 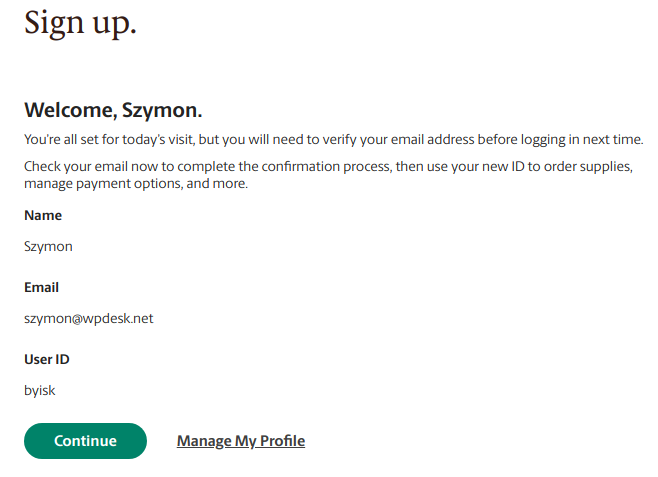 I provided my own information so I chose my own User ID. 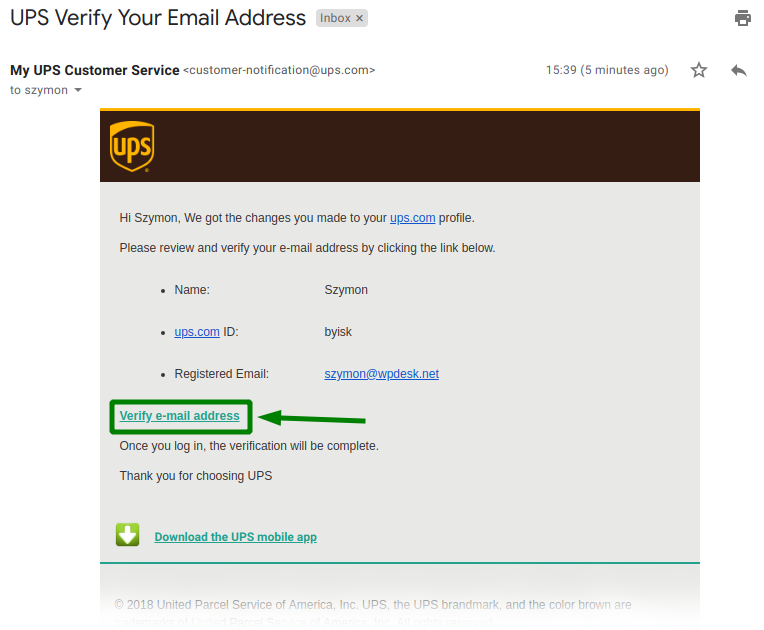 Once you use Facebook or Twitter, UPS generates User ID for you. Don't forget to verify your e-mail address. You'll get an email with a link you need to click. That's all. You have successfully created a UPS account.